Thanks for all the lovely feedback on yesterday's "honesty" post. Wow. You all blow me away. This little meow furry one is all sorts of broken colors. I'm practicing different brushstrokes, still trying to keep it loose, but adding more detail too. This is all play....and I'm enjoying it. Hope you are, too. I can't even imagine what #30 will look like as each day I am trying to do something a bit different. All fun! By the way, I repainted CAT #1 if you want to take a peek. I have a hard time stopping futzing around. 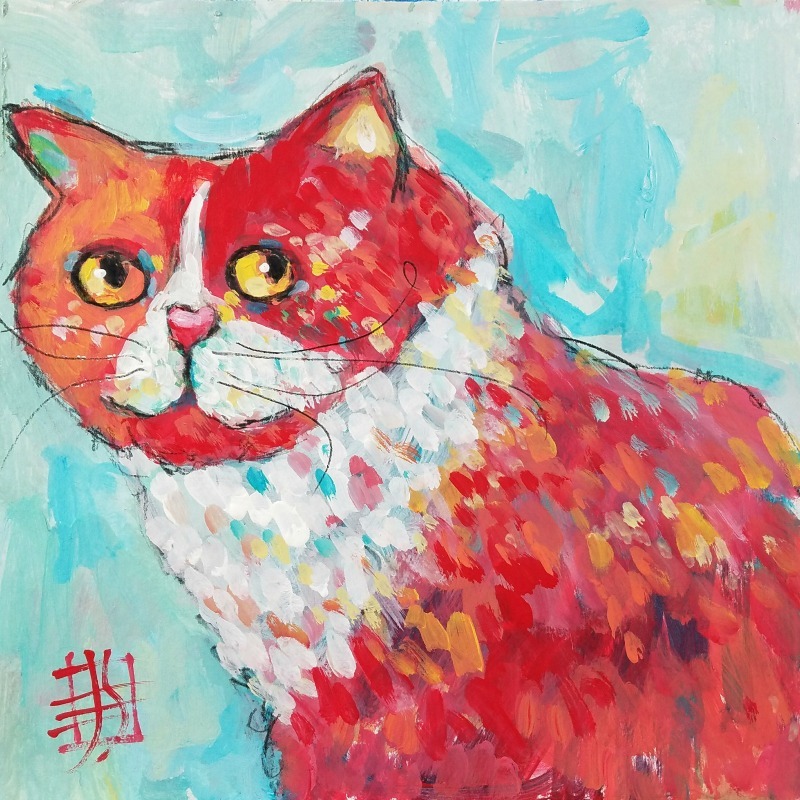 NOTE: I've added a new 30 Cats category...under Paintings. See graphic below as to how to find that new link. This will grow.......til there are 30 cats! I am loving this series of cats!!! We adopted 2 gorgeous black cats last year who were in an animal shelter. They are 3 years old now. My goodness, the joy they bring our family and our 3 kids is endless and unlimited. Your soulful paintings are just making my heart swell!!! You get such wonderful expressions in your cats! and fun, creative colors! Thx, Edith. Some are sillier than others but each a character. Here's hoping i can knock off the full 30. Stay tuned.